NYC, 02/14/2019, 2:30PM. 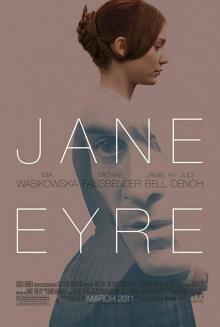 Jane Eyre (2011): Oscar nominated movie of the famous novel. 120 min. Director: Cary Joji Fukunaga. Starring Mia Wasikowska, Michael Fassbender, Jamie Bell. The screenplay is written by Moira Buffini based on Charlotte Brontë's 1847 novel of the same name, a classic of the Gothic, bildungsroman, and romance genres. The film's costume design, led by Michael O'Connor, was nominated for an Academy Award.